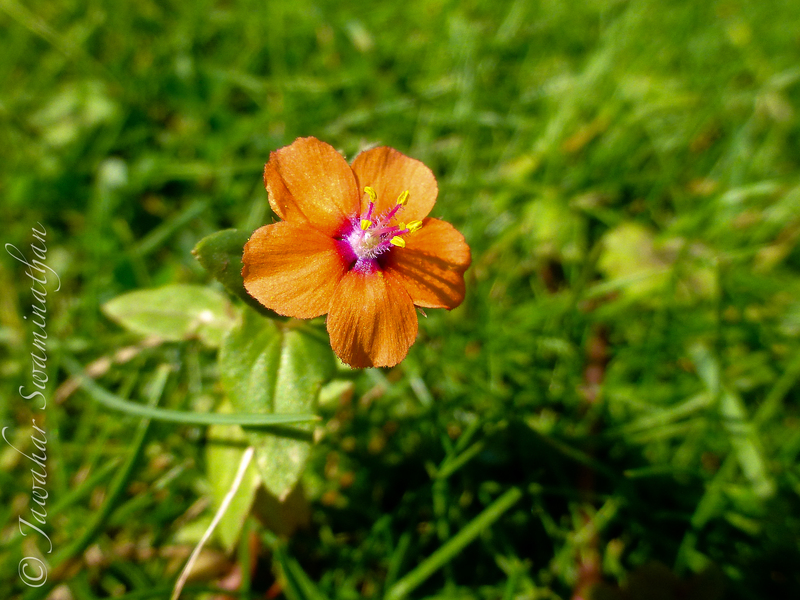 Scarlet pimpernel – a small flower with a big and famous name. A low sprawling plant with bright red flowers about 10mm across. All parts of the plant are poisonous and contain glucopyranoside cucurbitacins (Arvenins I to IV). Consumption can cause stomach upsets, trembling and kidney damage. 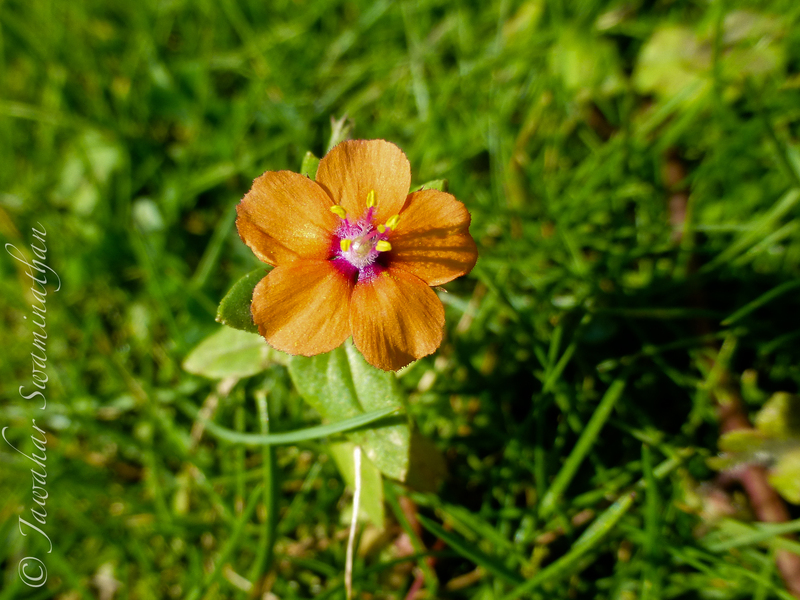 (Source: Wildflowerfinder.org.uk). YOur new camera seems to be doing good! Well the flowers are reddish but the centre is deep scarlet, plus add to that the white balance of the camera :-(. Can you see the centre? The point-and-shoot is convenient to slip into the pocket and walk about while negotiating stinging nettles. But I’d much rather use my dSLR when I can..